AMD’s Ryzen desktop processors are finally here, and they’re poised to go directly into battle with Intel. Today, AMD unveiled their new powerhouse chip at a special event in San Francisco. 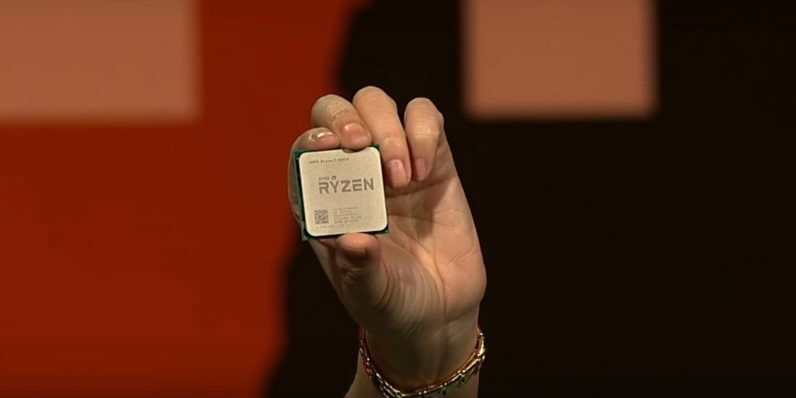 These specific variants on the Ryzen 7 were front and center: The 1800X, the 1700x, and the 1700. The Ryzen 7 has eight cores, 16 threads, and is based on the Zen architecture, which uses a 14nm manufacturing process. According to AMD CEO Lisa Su, Zen shows a 52-percent improvement in instructions per cycle over the previous generation and is designed to consume less energy. Su also promised huge visual improvements, especially for gamers. To show how it had improved on performance, AMD used Cinebench to compare Ryzen chips with comparable Intel i7 processors. According to the tests, Ryzen 7 outperforms i7s in every variation. Su showed the details of the tests during the show, which you can see below. The main draw of these chips is their price. AMD apparently plans to undercut Intel by offering Ryzen for less than its Intel equivalents. The R7 1700 sells for just $329. The top-of-the-line R7 1800X sells for $499, less than half the price of its rival Intel chip. Starting today, you can pre-order Ryzen from several retailers, including Amazon and Newegg. They’ll be commercially available on March 2.